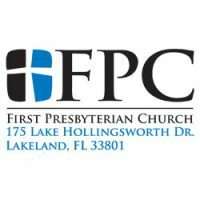 First Presbyterian Church Lakeland has an active Older (50+) Adult Ministry. All are invited to our monthly gatherings, weekly Bible study/small groups, fun fellowship opportunities, classes, and trips as well as our annual Senior Community Health and Resource Fair on the second Friday of March from noon to 3 p.m. We encourage all to also be active in the myriad of service opportunities at the church and in the community. Sunday services include Classic services in the Sanctuary at 8:15 and 10:30 a.m. and the Vine (Modern) service in Loudon Hall at 10:30 a.m. Address: 175 Lake Hollingsworth Dr.
» Clark, Campbell, Lancaster, & Munson, P.A.